"Bradford doctor G.L. 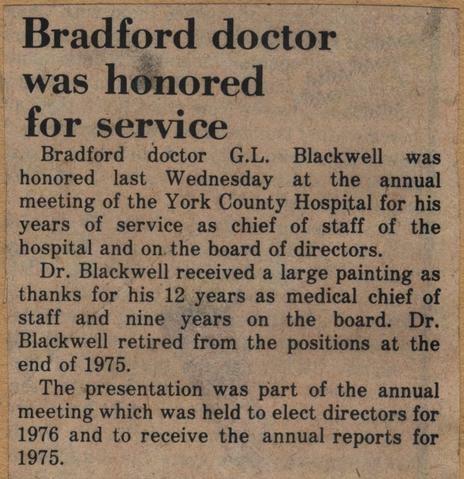 Blackwell was honored last Wednesday at the annual meeting of the York County Hospital for his years of service as chief of staff of the hospital and on the board of directors. Dr. Blackwell received a large painting as thanks for his 12 years as medical chief of staff and nine years on the board. 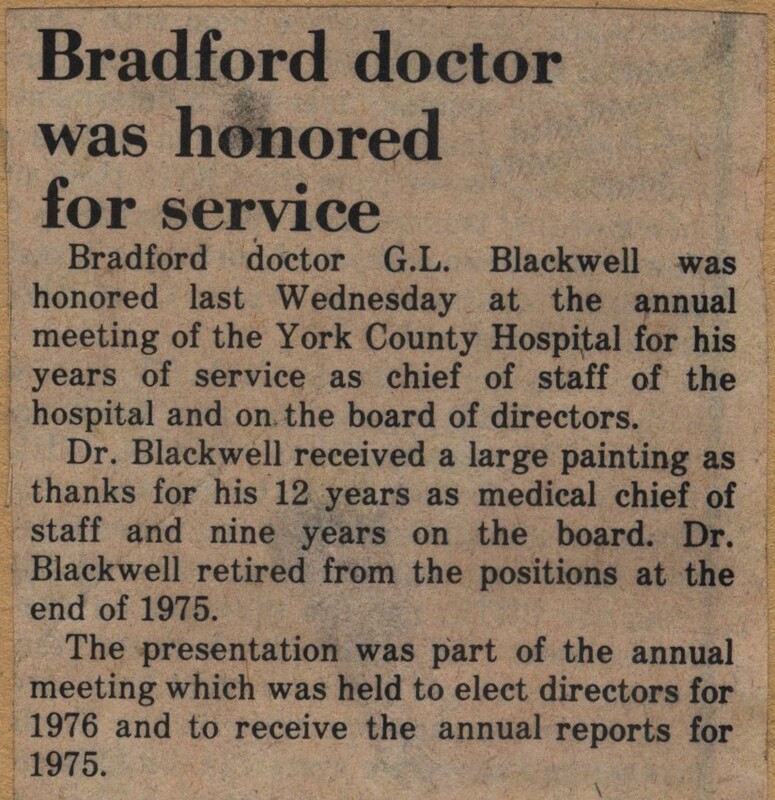 Dr. Blackwell retired from the positions at the end of 1975. The presentation was part of the annual meeting which was held to elect directors for 1976 and to receive the annual reports for 1975."